Plantation Florist-Floral Promotions, Inc. has been proudly serving the Plantation area since 1988. We are family owned and operated. We are committed to offering only the finest floral arrangements and gifts, backed by service that is friendly and prompt. Because all of our customers are important, our professional staff is dedicated to making your experience a pleasant one. That is why we always go the extra mile to make your floral gift perfect. Our fleet of vehicles are cellular phone equipped to facilitate fast, reliable delivery. Let Plantation Florist-Floral Promotions, Inc. be your first choice for flowers. 9:00 a.m. to 5:00 p.m., Monday through Friday, 9:00 a.m. to 12:00 p.m. on Saturday. Our shop will always be closed on the following holidays: New Year's Day, Easter, Memorial Day, Father's Day, Independence Day, Labor Day, Thanksgiving, and Christmas. Our commitment to you is 100% satisfaction on all your floral and gift purchases. If you are not completely satisfied, let us know by calling (954)584-8006. If you have any questions or need more information, please contact us by e-mail at flowerpaul@gmail.com or call us directly at (800)424-8106. We're always here to serve you and make your flower-sending experience a pleasure. Some of the many locations Plantation Flower Shop deliver to are: Broward General Hospital, Plantation General Hospital, Hollywood Memorial Hospital, Memorial Hospital-Pembroke Pines, Memorial Hospital-Miramar, Memorial Hospital West, Westside Regional Medical Center, Florida Medical Center, North Broward Hospital, The Cleveland Clinic, Coral Springs Medical Center, Northridge Medical Center, Holy Cross Hospital, and Imperial Point Hospital. 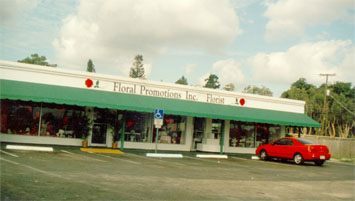 TM Ralph Funeral Home, Plantation Funeral Home, Fred Hunter Funeral Home-Davie, Fred Hunter Funeral Home-Hollywood, Fred Hunter Funeral Home-Fort Lauderdale, Fred Hunter Funeral Home-Miramar, Fred Hunter Funeral Home, Kraer Funeral Homes, Kalis Funeral Home, Forest Lawn-Davie, Forest Lawn- Pompano Beach, Scarano Funeral Home, Boyd’s Funeral Home, Mizell Funeral Home, James Boyd Funeral Home, Panciera Funeral Home, Barbara Falowski Funeral Home, Riverside Memorial Chapel, and Star of David. Occasionally, substitutions may be necessary to create your bouquet due to the availability of certain flowers in various parts of the country. At Plantation Florist, care is taken to maintain the style, theme and color scheme of the arrangement, using flowers of equal value. Additionally, the substitution of certain keepsake items may be necessary due to increased demand, especially during major holidays. In single-flower arrangements, such as an all rose bouquet, or orchids, we will make every attempt to match the flower type, but may substitute with another color.